The First Token to be tied to the retail value of Hydrogen Gas (H2), and as a payment method to participate in Equity Markets. Headquartered in Geneva Switzerland, WPP ENERGY GmbH is an innovation leader in the renewable energy industry since 2009. WPP is a repository for disruptive green energy technologies, aiming to produce electricity at a much lower Cost and to reduce landfill waste by up to 97%. Technologies such as HHO Power Plant Conversion where fossil fuel power plants are converted to Hydrogen fired, and environmental technologies such as the Mobile Waste Plant which processes and converts garbage into biofuels for power generation purposes. WPP intends to transmit its energy and biofuel production, and that of its partners, into an upcoming Blockchain based Global Green Energy Futures Contract Trading Platform. WPP builds, owns, operates and maintains these advanced technologies and enters into strategic joint venture partnerships for the purpose of accelerating the deployment of important environmentally friendly technologies for the benefit of the entire world. (Subject to SEC, FINMA and any other regulatory approvals required). Hold WPP Token for 12 months or more to have the right to swap into public company convertible preferred shares. WPP Energy GmbH has is in the process of executing a Binding MOU to acquire a 90% interest in a Public Company which is now with the SEC attorney for review and execution. 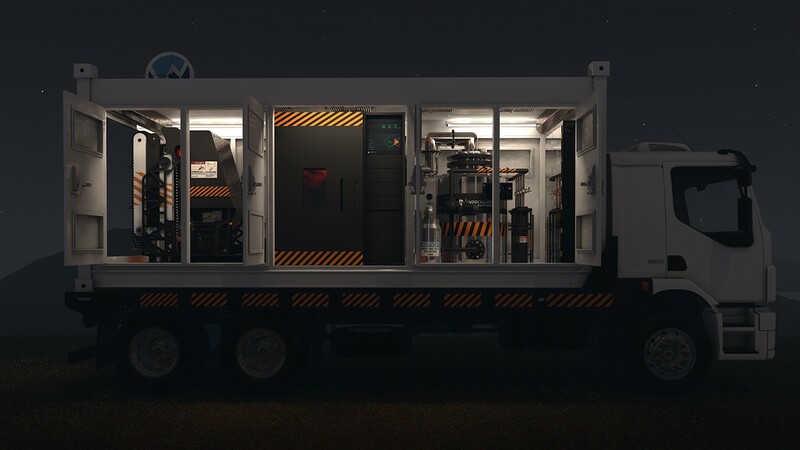 WPP will provide exclusive worldwide licenses to the public company for the manufacture of Mobile Waste Container facilities from 1,320 per year to 6,600 per year with a manufacture suggested retail price of $2.5 Million for each 20′ facility, and $5 Million for each 40′ facility. WPP will also provide operations licenses to the Public Company for the operational use of the Mobile Waste Conversion Facilities throughout the world. The public company intends to have an Offering to issue a convertible preferred stock (amount to be determined) subject to SEC approval. It is further intended that the public company will accept payment in Tokensat an exchange value of a minimum of $1 per token or 25% over the current market value. The issuance of the Public Company Convertible Preferred Stock will be priced at the time of Offering. The pricing of the convertible Preferred Stock will be at $25 to $50 per share with an estimated 8% annual dividend payable quarterly. WPP Tokens will carry a valuation premium of 25% over fiat currency when purchasing the Preferred Shares. When purchasing Preferred Stock with WPP Tokens you must provide a least a 25% fiat currency component to the purchase. WPP Token trades at $0.50, and the Preferred Share is expected to be priced between $25-$50 per share. WPP will accept WPP Token at a value of $1.00 when purchasing a convertible preferred share, and at least a 25% in fiat Component. WPP Token trades at $1.50, and the Preferred Share is expected to be priced between $25-$50 per share. WPP will accept WPP Token at a value of $1.875 when purchasing convertible preferred share, and at least a 25% fiat Component. 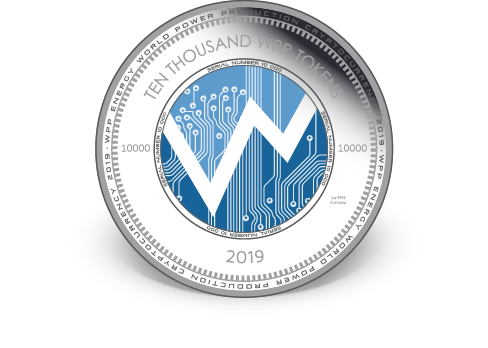 This provides a dynamic aspect to WPP Token as it provides Token Holders access to the equity markets where dividends can be earned and crypto is valued favorably over fiat. Furthermore traditional stock market buyers will recognize it may be a better strategy to buy WPP Token first before buying the shares with fiat currency so the 25% valuation premium can be obtained. The Convertible Preferred Stock will also have redemption rights backed by a cash component of the Principal Investment which will be placed in an IOLTA Trust account at a Major World Bank. This offering is subject to Swiss Law and SEC approval. The Public Company intends to issue the Convertible Preferred Stock which will be convertible into common shares of stock or may be traded as a separate stock on an exchange. subject to SEC approval. (2) WPP Mobile Waste Plant Manufacturing facility licenses. The Mobile Waste Conversion Plants have a manufacturer suggested retail price from $2.5 to $5 Million for 20′ and 40′ plants. A manufacturing production facility can produce from 1,320 to 6,600 Mobile waste conversion plants per year according to size of the manufacturing facility. The WPP Engineering teams, blockchain, chemical, industrial and electrical engineering are working together to accomplish the tie in of H2 (Hydrogen Gas) production and target H2 Reserves/Reservoirs into the blockchain. The intent is to Asset Back and correlate WPP Token to the retail price of 1 Nm3 of H2 (Hydrogen Gas). (Subject to SEC, FINMA and any other regulatory approvals required). 1 Nm3 of H2 = 0.08988 of 1 Gallon of H2. WPP market observations as of March 2019 reveals the price of H2 in the USA at approx $16 per gallon = $1.43 per 1 Nm3. The intent of our overall strategy is to tie the price of the token to the retail price of 1 Nm3 no later than Q4 2019. Prior to Q4 the strategy is to create incremental levels of asset backing of the token along the way. Ecosystem to reward token holders with bonus tokens to be calculated on the amount held in WPP tokens for every 3 consecutive months of ownership. WPP will provide a 25% bonus for holding WPP Token for the initial 3 month period right after WPP Token is launched on Digifinex. Token Holders of record as of March 31st 2019 at 11:59pm EST are eligible. Tokens must be stored on an ERC-20 wallet (MEW, Metamask) to be eligible to receive the bonus. Tokens moved to the crypto exchanges will not be eligible. Additional incentive programs will follow. 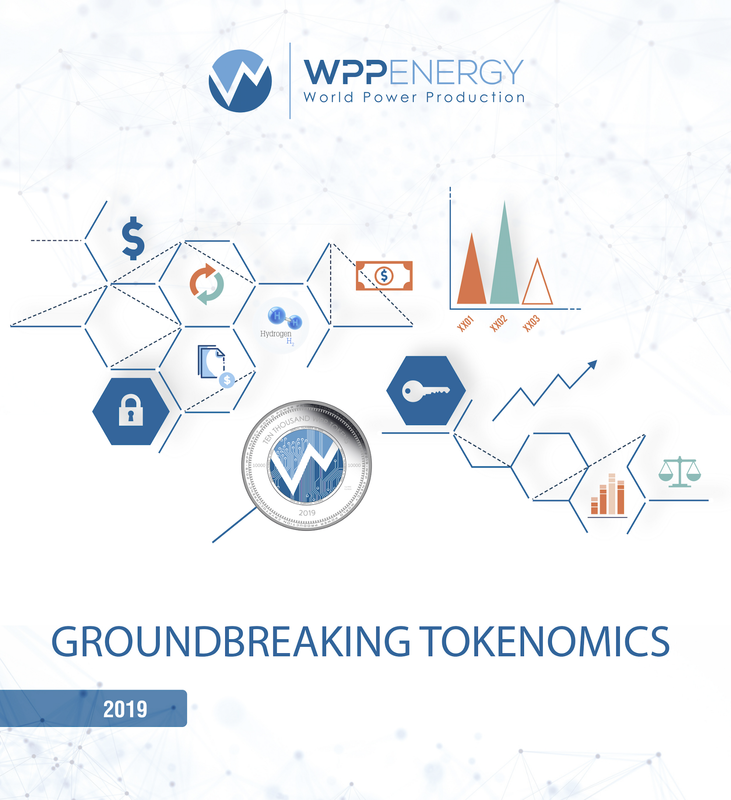 WPP intends to transmit its energy and biofuel production, and that of its partners, into an upcoming Blockchain Based Global Green Energy Futures Contract Trading Platform. WPP Token intends to have an underlying Green Energy Futures Contract Associated with it. 5. WPP Token is to be accepted payment method for all WPP Energy Products. WPP will accept WPP Token at the Exchange real time market price value at the time the WPP product order is placed. Up to 50% of the products total purchase price can be paid in WPP Tokens and the remaining must be paid in Fiat Currency. More information will be provided according to the product roll out schedule disclosed in our roadmap.